Mas de Celia en su nuevo libro / CD The Absolute Collection Esta en Amazon!! 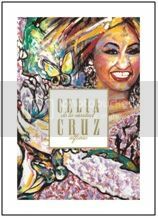 Be A Part Of Celia Cruz's Worldwide Birthday Celebration! Celia Cruz lives on forever! Check out her new iBook…first Latina ever with an iBook. Celia Cruz will always live in our hearts!